The NHL Playoffs began on Wednesday night, the start of a two-month marathon that will conclude with one team lifting the most famous trophy in all of sports. Players will lose teeth, shed blood, break bones and suffer all manner of horrific injuries … and continue to play. When the champion is finally crowned, a bunch of battered, bruised, and bearded men will be left with no words. In short, there is nothing in sports as great as playoff hockey. The hits are harder, the crowds are louder and the games are played with an intensity that surpasses the regular season. As my kids became fans of the sport, I couldn’t wait to indoctrinate them into the experience. 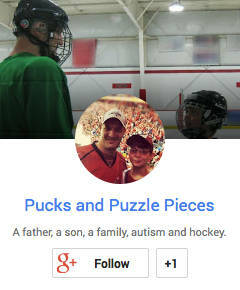 Our first opportunity came four years ago, the first year that Ryan showed an interest in hockey. 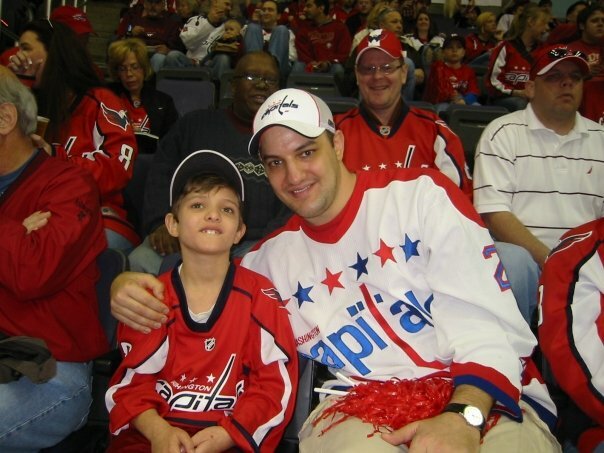 He was a Washington Capitals fan then, like me. We had attended a game in Washington late in the season after which the Capitals went on a miraculous run to make the playoffs on the final day of the season. As Ryan and I followed from afar, I promised him we’d go back for a playoff game if the Caps made it. But Riley was not one to be left out. 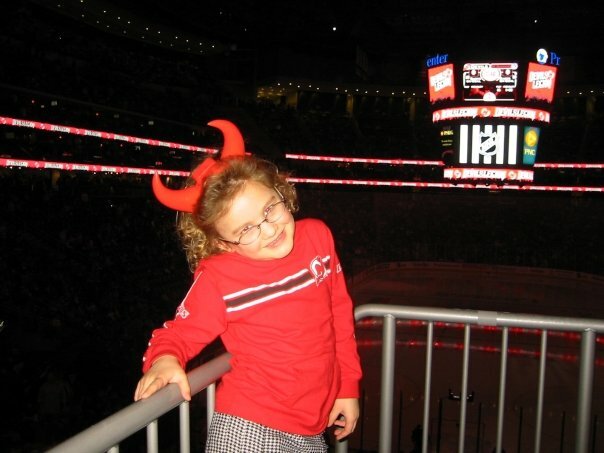 She has been a New Jersey Devils fan from Day 1, and has never wavered. The Devils also made the playoffs that spring, and so we had a “Hockeypalooza” weekend that saw Riley and I at a Rangers-Devils playoff game on a Friday night. Saturday morning Ryan and I drove to Washington and attended a Flyers-Capitals playoff game on Sunday afternoon — my first-every overnight trip alone with him. The weekend could have gone better. I carried a sobbing Riley out of the Devils’ arena after a shutout loss left them down 2-0 in the series. Even the drunk Ranger fans who had been throwing beer and spewing profanity moments earlier felt bad for her. An usher tried to comfort her, as did I. I felt bad for having exposed her to something that made her so upset, but I also knew that her reaction was part of the beauty of being a sports fan. The ability to get so wrapped up in an event with an essentially meaningless outcome — and to share that with 18,000 or 80,000 fans is a truly unique experience that is tough to duplicate in any other part of society. On Sunday, the Caps were lifeless in a 2-0 loss to the Flyers. Ryan sat mostly silent in the car as we made the four-hour drive back home after the game. There were no tears, probably because at that point in his hockey fandom, he was not yet so wrapped up in the outcome. What strikes me about the memories of that weekend — other than how young the kids were — was how much the sport has become a part of our lives since then. Thursday night was hockey night in our household. With the kids on spring break, and both the Sharks and Caps playing in the early games, we set up as a family to watch. Riley’s Devils will play Friday night and we’ll repeat the process. Last night was a big one for Ryan because he’s very rarely able to stay up to watch an entire Sharks game. Most of them start at 10 p.m. or later, but last night they were playing at 7:30. With no school in the morning, Ryan announced he would watch the entire game. 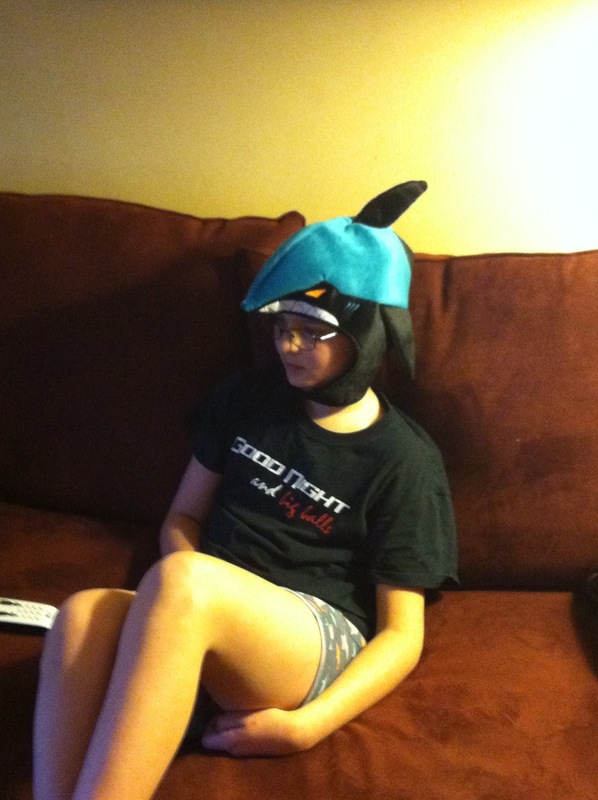 He put on his lucky Sharks pajamas and donned his new Sharks head hat — which arrived this week in a package from the team, thanks to an old friend who now works there. I was a little worried. The Sharks are underdogs in their series against the St. Louis Blues and let’s just say Ryan is a just a bit more emotionally invested in the outcome than he was four years ago. At times he has gone past anger and into full meltdown at the result of a playoff game. The game began and Ryan was cautiously optimistic. He had announced to us that he was picking the Blues to win in a four-game sweep. He was trying to put the reverse-jinx on his favorite team as a hedge against disappointment. The Sharks grabbed the lead and he celebrated like they’d won the series. Early in the third period, the Blues tied it up and then took the lead, but there was no meltdown. Riley had fallen asleep on the couch and Ryan managed to control his volume to avoid waking her — which is a constant struggle for him. We made sure to praise him both for his restraint and for not letting the game upset him too much. But the Sharks were not done — they scored late in the third period and the game headed to overtime. At that point Ryan, already 90 minutes past his bedtime, announced he would go to bed and watch the rest of the game in the morning. Getting him to bed has never been a problem. He always wants to go to sleep when he’s tired. It’s keeping him asleep that has been an issue. We set up to record the rest of the game and put him to bed. Meanwhile, my Capitals were also going to OT, where they quickly lost in the first two minutes. But I was more invested in the outcome of the Sharks game. I just wanted this so badly for Ryan. The teams traded chances through an entire overtime period before the Sharks won it early in the second OT. I celebrated silently — the rest of the family having already gone to sleep — and carefully set up the recording to play from the start of OT. My next interaction with Ryan came at about 6:30 this morning — or three hours after I had gone to bed — when he burst into my room to announce that the Sharks had won. No volume control this time. It was OK. I smiled, offered congratulations and rolled over to go back to sleep. Tonight we will gather again as a family to watch the Devils. Next week, we will attend a playoff game together as a family for the first time. These times spent all together engaged in the same activity are so precious. The vast majority of them in our house involve hockey and for that, I have no words. I love that video. And I love this post. What an amazing thing to be able bond with your whole family over hockey. Especially with Ryan. Precious indeed. I also love what you said about Riley and the outrage about losing. I was never really into sports growing up and it wasn’t until I was an adult living in Oakland (pre kids) that I first felt that. My husband was a Raiders fan and I got sucked in. (I know. Send condolences.) I remember after one particular game I was really, genuinely upset and that is how I knew that finally I was a sports fan. Since that time, I have had many opportunities to be upset, especially at the Raiders, but to be part of a fan community is a really cool thing. Raiders, huh? I’m not sure some elements of their fan base get the whole “this is essentially meaningless” part!